That always-relevant-just-not-for-making-movies Baldwin, Daniel, was arrested in Santa Monica on charges of drug possession and the driving of a car that was, technically, not his own. This is the second time this year that the 46-year-old has been arrested on drug charges in Santa Monica, putting him in that very elite stratosphere of celeb drug problems where George Michael is king. To hear the Santa Monica Daily Press tell it, cops on routine patrol spotted Baldwin leaving a hotel, and, because he is Daniel Baldwin, thought they should probably run the license plate on the Yukon he was driving. 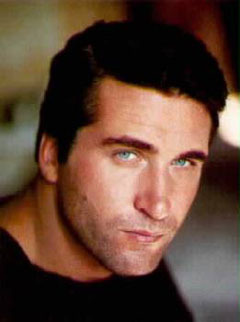 They discovered the vehicle Daniel Baldwin was driving was stolen (just an average day patrolling Santa Monica), then raided Daniel Baldwin’s hotel room (still pretty routine), where they found the drugs and drug paraphernalia (yup). Baldwin was booked at Santa Monica Jail, and his bail was set at $20,000.